4 way continental type automotive fuse box. 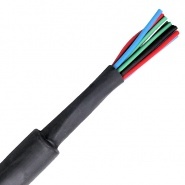 Height including cover screw: 34mm. 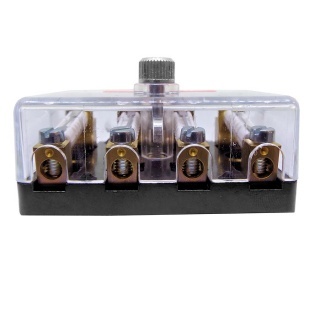 Four way surface or panel mounted fuse holder for bullet or torpedo style continental fuses, with a screwed down clear cover for easy access, used on 12V and 24V DC electrical systems. 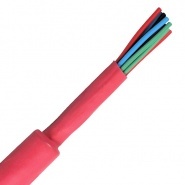 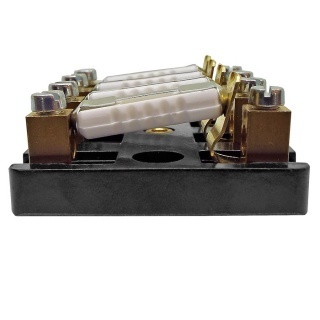 The fuse carrier has a festoon style locking action for the fuses and screw termination for the electric cable. 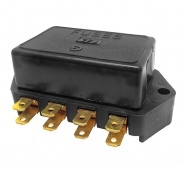 There is a fuse link available to purchase separately for the fuse holders, part number 0-234-99. 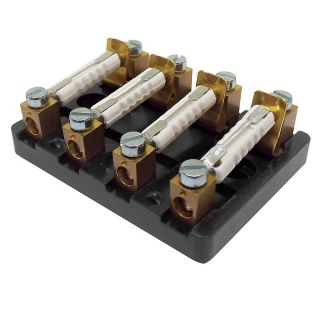 The holder accepts stock continental fuses: 5 amp yellow, 6 amp white, 16 amp red and 25 amp blue. 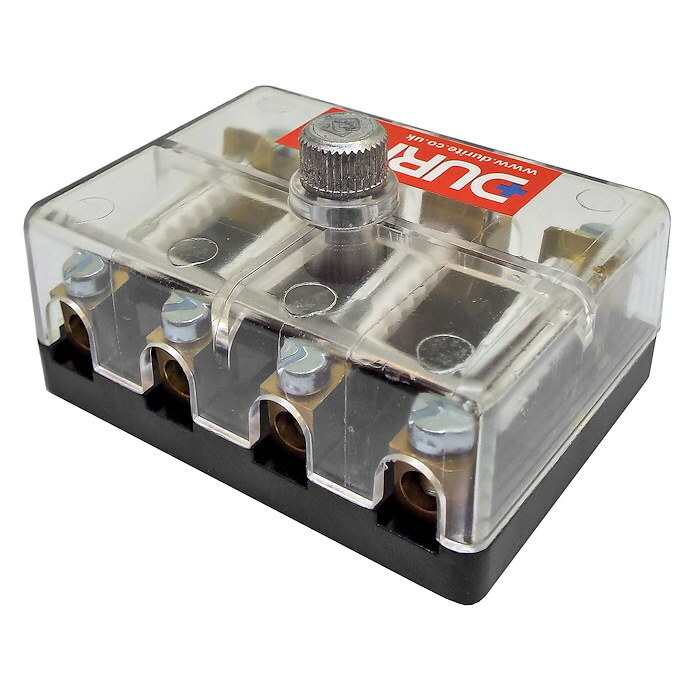 For 29mm glass fuses, surface mount fixing and mounting, 4 way fuse box with storage for 2 spare fuses, without 29mm glass fuses.